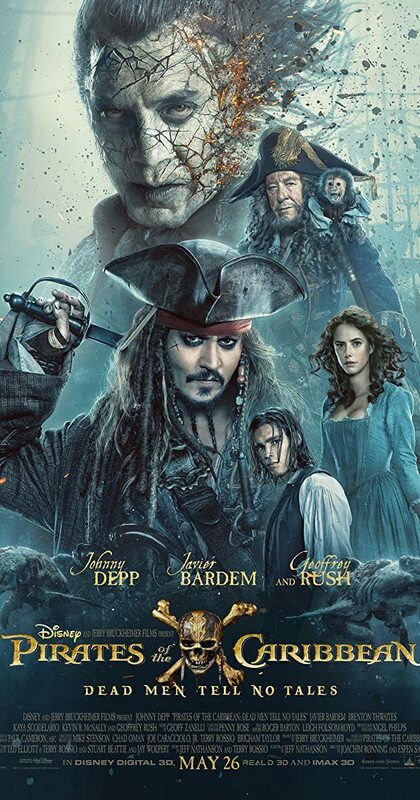 Pirates of the Caribbean 5 it a film that is unashamed of what it is. It is a bloated mess from beginning to end. It also waves the middle finger by giving a corpulent wave of unrealised stories that was rushed into the movie before being swallowed up by the gigantic machine of a big Hollywood blockbuster. I say that Pirates of the Caribbean is unashamed of it grandeur because, near the beginning, Jack Sparrow (Johnny Depp) and his crew rob a bank in front of the public. I mean “rob a bank” literally as in they stole the building and dragged it throughout town via a stream of horses pulling it around like a caravan on a joyride. The movie shows it’s bloated production from the get go. That is a bank being pulled by horses with an intoxicated Jack Sparrow on the roof. In the very beginning of Dead Man Tell No Tales, we do get the main plot (thank God) in which Henry Turner (Brendon Thwaites) is trying to locate the Trident of Poseidon to undo the curse of his father Will Turner (Orlando Bloom). If you do want to see this film, just remember that premise to keep in check as the movie gets swallowed up by subplot after subplot and CGI “extravaganza” after CGI “extravaganza”. After an inundation of overstuffed special effects and convoluted storytelling, I was bored and exhausted after watching “stuff” on the screen. At least the last two movies of the Pirates franchise has gone noticeably shorter in length, however, with bad pacing it made Dead Man Tell No Tales feels just as long as At World’s End even though Dead Man Tell No Tales is nearly 40 minutes shorter. Another reason Dead Men Tell No Tales feels so long is that the movie has got nothing interesting to say and only one 45 second guillotine sequence to boot. At least Batman vs. Superman had a couple of well-choreographed action set pieces. I admit, the guillotine sequence was unexpected and quite clever. The faintest praise I am going to give this movie is that it does not sink to the levels or the previous movie On Stranger Tides but not by much. I hate to say this but Dead Man Tells No Tales is an improvement on its predecessor simply because I didn’t descend to apathy as quickly. It’s like Dead Men Tell Not Tales refined On Stranger Tides which is slightly less bad. I am surprised that many critics thought that John Wick Chapter 2 was completely innovative. I think it is innovative… in the second half. Mostly I was mildly interested, sometimes I was bored in the first half of the movie. As a matter of fact, a lot of the movie is completely generic. The plot is that John Wick (Keanu Reeves) a retired hitman is brought back in the game reluctantly by a secret assassin society. The gangster that hires him Santino D’Antonio (Riccardo Scamarcio), wants Wick to kill his sister in Rome to consolidate power in the society. In the beginning of John Wick Chapter 2 John Wick is gets run over by evil henchmen three times and there were so much gunfire and murder. As a story I ask myself “Structurally, how is John Wick going to top this opening because I am pretty desensitized to this point” they do top it admittedly it was quite clever how it was executed. This “Hall of Mirrors” scene looks and is pretty cool. Well shot and choreographed. I counted and there were about six moments that were actually cool. That’s a good number however nearly all of them were condensed in the climax meaning the first 90 minutes were a medicore affair. John Wick Chapter Two plays it’s hand in the final act. There are two action sequences. One of them is in the subway station both. The other one takes place inside a hall of mirrors. They both scenes that were both thrilling and inventive. Both are gimmicks that have been used before in movies but they have not worn out it’s welcome. John Wick (and Mike Banning) never gets this notification. 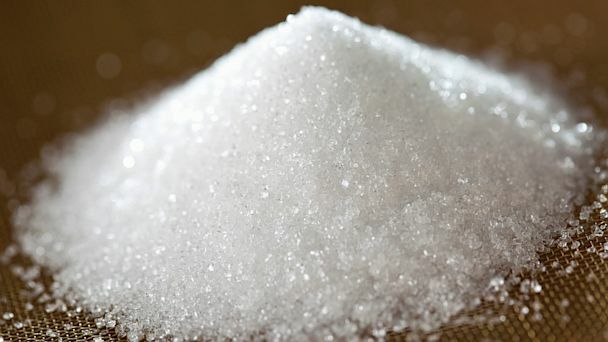 Lock-on is the equivalent of steroids in the bodybuilding world. The “Man who never misses when firing his gun” cliche reduces action movies in a risk-free killing spree making it hard to care for John Wick’s fate since I believe he is not in any sense of danger. The arm bar to me has become a recent crutch in action movie. It’s like depending on swearing for a joke to be funny in a comedy. It’s been overused recently because people are now into Mixed Martial Arts. I have gotten tired of it. If someone is going to apply and armbar, I actually hope someone would actually break hyperextend or even break the arm for the sake of variety. All the action in the first half of John Wick is a combination of those two boring and repetitive things. Oh and Wick gets run over by several cars. He has legs of steel. What sucked: The majority of the third act making no sense (in my mind) and some leaps in internal logic. 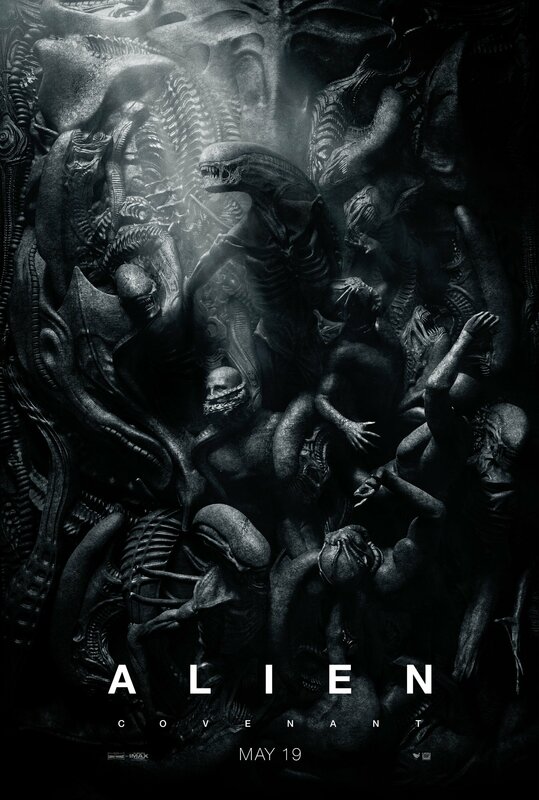 Alien: Covenant is a film that I think gets the thousand little things right and the 2 or 3 big things wrong. However, there is strength in numbers and because it got a lot right Alian: Covenant turns out to be quite enjoyable. I think that Alien: Covenant will satisfy a lot of fans as it sticks to the anesthetics that made it memorable and it does not move anywhere near outside its comfort zone. If you are not a fan of space, science fiction or aliens spawning out of the flesh of a human than you have come to the wrong place. Chuck Norris incubates and breeds neomorphs for breakfast. I don’t want to take up the hobby. Alien: Covenant exposes the sadistic part of me that show the art in gruesome scary sequences. It’s one of the few films that shows the viscera of life and death without descending into shock value. The filmmakers establish the world beautifully and give believable motives as to why the crew investigates a specific planet before the gore begins which is the major selling point of Alien: Covenant. Very menacing but it had a MAJOR momentary editing issue. He is in one location then goes to another without any explanation as to how it got from point A to B. The other thing I was mostly pleased at was the establishment of characters. This was an ensemble and they were uniquely presented making me interested in each of the characters. They all have their quirks, Walter/David (Michael Fassbender) for example has the intelligence and has a “creative” hobby. How they develop some of the key characters is a little rocky but at least it’s not terrible. The two or three major problems I have with Alien:Covenant descends into massive spoiler territory but to sum it up: It didn’t make a lot of sense to me. Things happen in which people (or things) appear when it’s impossible to be where they are and have been given no explanation as to why. That includes the ending, which was also completely predictable if have ever seen a horror movie in your life. Had those moments make a lick of sense, Alien Covenant would have made for a much better film. Get Out is a rare cinematic treat. It is one of the most daring films that I have seen and it’s a masterpiece that I have understood but not fully processed. 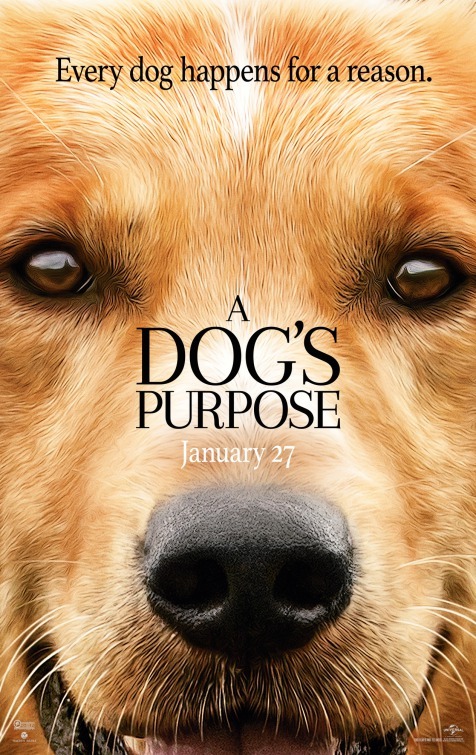 Pushing the boundaries is an understatement for this movie. I can guarantee you, the reader, that Get Out is unlike any other horror film you have seen. Get Out is one of the very few movies where I was trying to deconstruct it in my head, yearning to get to the core of the movie’s concepts. Normally, I either understand the movie or I don’t. Get Out manages to become a film that explores social commentary on race relations from a perspective I haven’t seen before. It succeeds in finding that very tricky balance of horror, comedy and social commentary. The plot: Chris (Daniel Kaluuya) and Rose (Allison Williams) are a young romantic couple and are going to meet Rose’s parents. Chris is worried that Rose’s parents (who are white) won’t accept Chris because he is black. When Chris meets Rose’s parents, they accept him because he is black. Make no mistake, Get Out is a horror movie. Get Out follows the conventions of a horror movie with set-ups, tension, suspense, the villain with the evil and messed-up motive and the resolution. But how the movie executes these elements is something that is unquestionably unique and, in my opinion, quite extraordinary. Rarely does a horror movie build suspense and tension through dialogue that’s unsettling but never disturbing. With all the commentary on black people, I would argue that Get Out is never a racist film, but builds the tension by constantly teetering on the brink by going way too far into the opposite direction of ignorance. It’s done by the family being over complimentary about Chris for his “talents” that “inherited” from being black. I used quotation marks here because it’s from the perspective of the majority of the characters. Those passages of dialogue were so great because of it. The other thing that was so great was the acting from the whole cast as they give it replay value for me. I would like to watch it again, knowing what I know now after seeing the movie I would love to see the subtleties in the performances of Catherine Keener as the mother (who was so amazing) Bradley Whitford who was the father and especially Allison Williams (Chris’ girlfriend). There were also incredibly freaky performances played by Marcus Henderson and Betty Gabriel who play housekeepers. 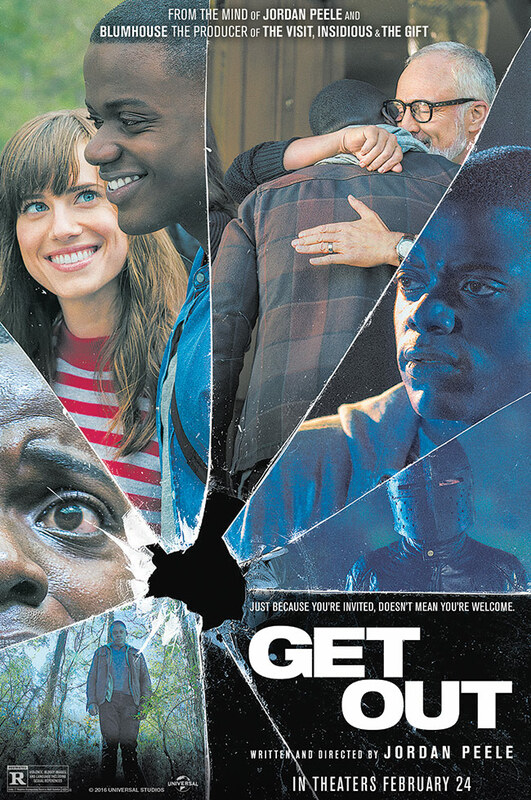 There were also performances by Get Out is not a movie that needs to be seen twice to understand it, however, I think I will gain a new perspective on the performances having seen the movie.